If you're working this weekend, don't forget to vote at one of the pre-poll stations today or tomorrow. There's one at Toronto and Cooranbong and they're open until 8pm today, reopening at 8am on Friday. 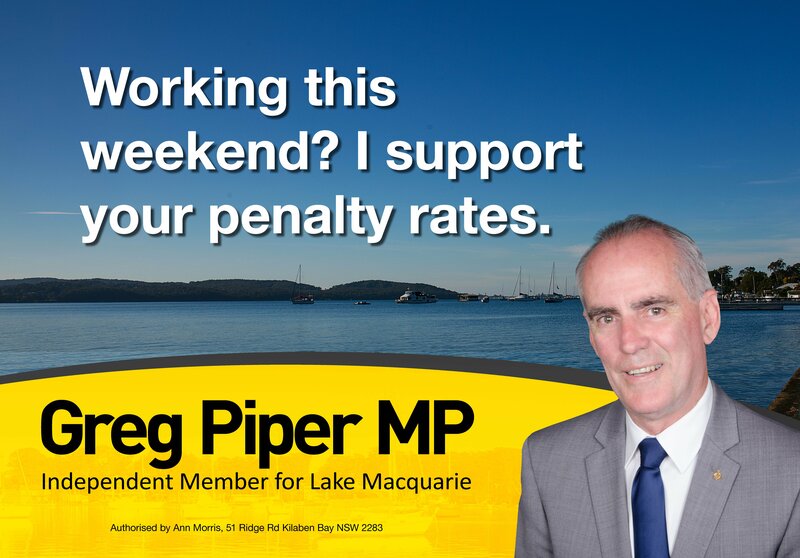 And whether you're in retail, nursing, hospitality or our emergency services, know that I will always support your penalty rates.